When we were on the road for CES a few weeks back and got our first hands-on time with the Samsung Chromebook Pro and Plus, I have to admit that my impressions of the stylus weren’t great. Based on some new info, I have every confidence that is about to change. At the press event and booth during CES, Samsung was touting the addition of pen input on the Samsung Chromebook Plus/Pro being more than just a simple input addition. Instead, words like machine learning were thrown around to describe what makes this pen input better than incarnations that came before. My actual hands-on time with the devices didn’t instill a ton of confidence in these claims, though. Instead, I found the pen a little laggy and its pressure sensitivity lacking. Sure, I knew those were pre-production devices, but I had a little reason to believe the marketing claims when the actual experience wasn’t great. Based on comments today by Kan Liu, Director of Product Management at Google, I have every reason to start buying into the hype. In a nutshell, we were told today that with the pen input for the Samsung Chromebooks (and any further Chromebook touting a stylus, for that matter), a custom bit of coding and machine learning algorithms are at play. Google has used its mountains of data to feed an algorithm that can predict where your pen is headed while you are writing. Yeah. Predict where your pen is going. Anyway, this significantly reduces lag between the pen and screen, creating a much more seamless experience for the user. Additionally, Samsung has spent time tweaking the pen tips for the production devices, adding just the right amount of friction with the screen to help it more closely mimic that of pen and paper. 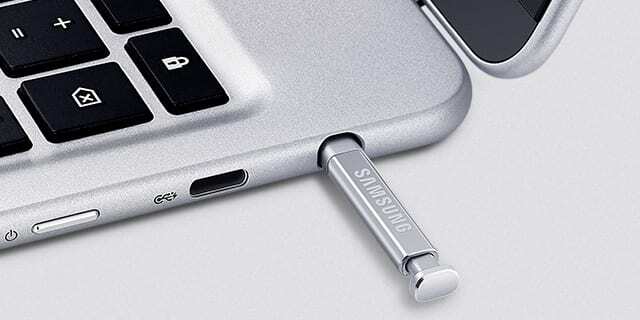 Additionally, these useful tricks aren’t limited in any way to Samsung devices. Just like all things built into Chrome OS, this tech will be available for any manufacturer who wants to implement pen input on their Chromebook. And, just like screens, trackpads, and keyboards, the stylus must meet Google’s standard for use in Chromebooks. What that likely means is we’ll never see any Chromebooks with janky, pressure-sensitive touch panels. That is a good thing, indeed. Though we cannot comment yet on the full implementation and exactly how it will behave, we can definitely say this all sounds very promising and exciting. Again, we see Google and Samsung taking this device launch very, very seriously. New features and standards for integration are plain signs that the Samsung Chromebook Plus/Pro are being set up, quite possibly, to be the best overall Chrome OS experience you can buy.